Tissue Marking Dye 5-Color Kit | Polysciences, Inc. Marking Dyes designed to perfect orientation of excised surgical specimens. This method of permanently marking the margins of tissue specimens is very beneficial to surgeons testing for skin cancer. Fast drying -no post fixative required. 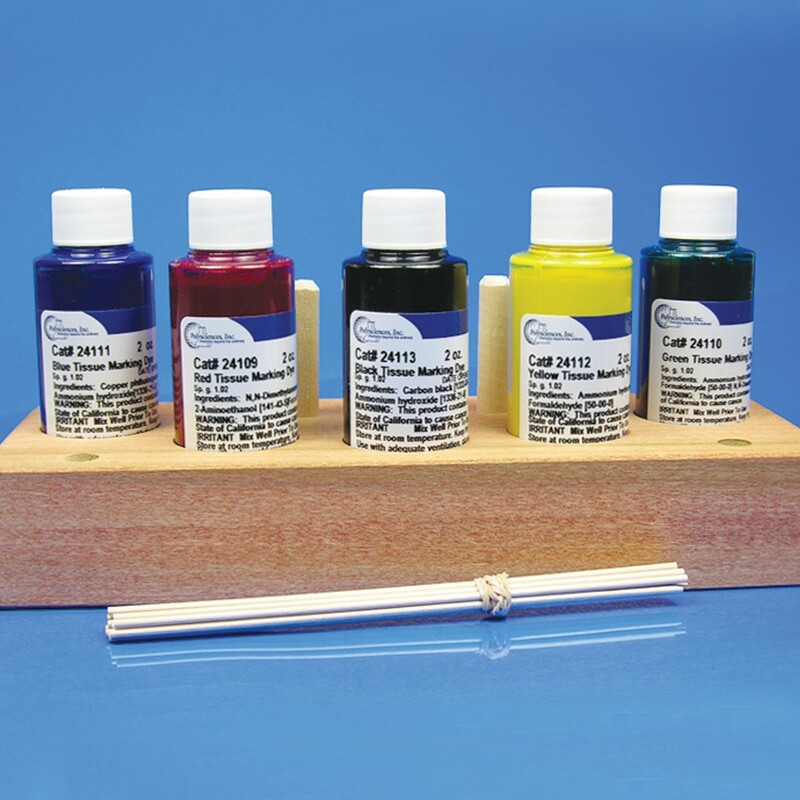 Dyes can be used on fresh or formalin fixed specimens.